Tampa / Town 'n' Country, Florida, U.S. In 1928 the city completed the 160-acre (65 ha) Drew Field six miles (9.7 km) west of Downtown Tampa. It was named for local developer John H. Drew, who formerly owned the land on which the airport stood. The more popular Peter O. Knight Airport was opened on Davis Islands near Downtown Tampa in 1935, where both Eastern and National Airlines operated until 1946. Trans Canada Airlines international flights began in 1950 and Drew Field was renamed Tampa International Airport. The airport's second terminal opened in 1952 near the intersection of Columbus Drive and West Shore Blvd. The April 1957 Official Airline Guide shows 30 departures a day on Eastern Air Lines: nonstops to Chicago-Midway, Detroit (Willow Run), Cleveland, New York Idlewild (now JFK), Boston, seven nonstops to Atlanta and 18 within Florida. National Airlines had 26 departures, including seven nonstops beyond Florida to Houston Hobby, Havana, Washington National, New York/Idlewild and three to New Orleans. Trans-Eastern had 12 departures and Mackey had two DC-3s, none nonstop beyond Florida. Trans-Canada had thirteen nonstops a week to Toronto or Montreal. The 1952 terminal, built for three airlines, was swamped after the Civil Aeronautics Board granted Capital, Delta, Northeast, Northwest and Trans World Airlines authority to fly from Tampa in the late 1950s. An annex was built east of the terminal for the new carriers. Turbine-powered flights began in 1959 on Eastern Air Lines' L-188 Electra; in 1960 National, Eastern and Delta Air Lines began jet flights with the Douglas DC-8 (Delta was first, with a Chicago nonstop in May or June). National DC-8 nonstops to Los Angeles and weekly Pan American jets to Mexico City (MIA-TPA-MID-MEX) started in 1961. The 1952 terminal was congested as larger jets replaced piston airliners and it was again expanded. During the early 1960s, the aviation authority began planning a replacement terminal in an undeveloped site at the airport. Airport leaders chose the Landside/Airside design in 1965 after a study. Construction on the new terminal designed by Reynolds, Smith & Hills began in 1968 between the airport's parallel jet-capable runways. Prior to its opening on April 15, 1971, sixty thousand people toured the new facility during a two-day open house. National Airlines Flight 36 from Los Angeles was the first to arrive at the terminal; after touching down at 05:26 A.M., the jet taxied to Airside E.
The logo, used since the new airport opened in 1971, represents the blue waters of Tampa Bay with a jetliner flying into the downtown Tampa sunset. It is known as the "Spirit of Flight". The jetliner was modeled after those once used for supersonic transport—at the time the logo was created in the 1970s, it was during an era when it was thought that supersonic aircraft would replace conventional jets as a mode of air travel. On July 15, 1972, the 227-foot-tall (69 m) Air Traffic Control Tower opened, the tallest in the United States at the time. The Host/ Marriott Airport Hotel and its revolving rooftop restaurant opened in December 1973, with triple-paned windows and sound-proof guest rooms. Northwest Airlines and National Airlines brought the jumbo jet to the airport late in 1971 with the introduction of the Boeing 747 and McDonnell Douglas DC-10. This was followed by the L-1011 Lockheed Tristar a year later by Eastern Air Lines. National Airlines began trans Atlantic DC-10 service to Amsterdam and Paris in 1977. During the following decades, the airport was expanded to handle more traffic and additional airlines. Airside B closed in 1991, following the demise of Eastern Airlines. In 1996, Airsides C and D were remodeled, and the interiors of both satellites were refurbished. During this time, all the airlines from both facilities were housed in Airside E. Upon completion of the renovations, the airlines returned to their original locations, and Airside E was closed for good. The Landside Terminal was also remodeled numerous times during the 1980s and 1990s. Both Delta Air Lines and US Airways opened maintenance bases at the airport. Both bases closed during the air travel downturn following the attacks of September 11, 2001. Alabama-based Pemco World Air Services now occupies the former US Airways hangar performing MRO (maintenance, repair, overhaul) services for the Spirit Airlines and jetBlue A320 fleet. On April 1, 2010 a press release announced that a lease agreement was reached to allow Pemco to lease the second hangar formerly used by Delta Air Lines, where they perform Boeing 737 cargo conversions and modifications. Tampa Bay is currently[ when?] 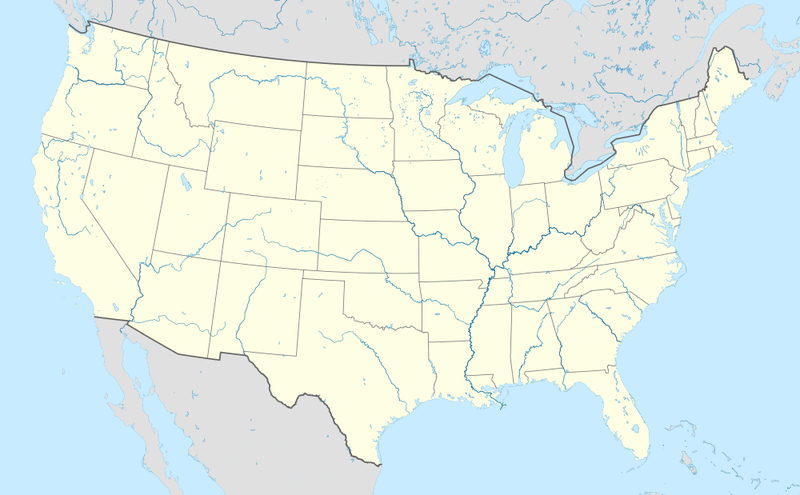 one of the largest metropolitan areas in the United States that doesn't have a major airline hub. Groundbreaking for Phase I occurred on November 4, 2014. The first phase involved the construction of new passenger facilities including a remote car rental facility and a new people mover system to connect the rental car facility and Economy Parking garage with the terminal. The Rental Car Center and SkyConnect people mover opened to the public on 14 February 2018. Airport conveniences that are free of charge include passenger paging, wireless Internet access, cell phone waiting lot with flight information, shuttle service from the economy garage, real-time flight information and travelers aid services. Other services include eateries located before passenger checkpoints, touch screen information kiosks, information about local events and outdoor smoking areas. In June 2012, the airport debuted several distinctly-Tampa restaurants and bars in both the Landside Terminal and the airsides. Among these eateries now represented at the airport are the iconic Ybor City Columbia Restaurant, downtown's Mise en Place's First Flight wine bar, and Cigar City Brewing's brewpub, which features an on-site-produced pale ale named after Tampa aviation pioneer Tony Jannus. A permanent exhibit of Tony Jannus Award winners is also located in the airport. The Landside Terminal was designed with convenience in mind. Express elevators and escalators keep passenger traffic moving smoothly, with few bottlenecks. Level 2 (Ticketing) contains all ticketing/check-in functions. The level also contains a Charter desk reserved for flights that do not normally utilize TPA. The Ticketing area received a major renovation/expansion in 2002, and again in 2013. Level 3 (Transfer Level) includes the airside shuttle stations and a shopping area known as the Airport Galleria. The airport Marriott Hotel is adjacent to the main terminal. Tampa's facilities are almost entirely housed in the public access main terminal. The facilities are mostly operated and run by airport retail companies—HMS Host, Stellar Partners, Bay Area Concessions, and OSI Restaurant Partners. Level 3 has undergone numerous major renovations. The main building was renovated in 1997. Shuttle bay expansions were constructed in 1986 for Airside F, 1994 for Airside A, 2001 for Airside E, and 2004 for Airside C. Future expansion plans include a relocation of the shuttle bay for Airside E by 2012. In February 2018, SkyConnect, a tram connecting the Economy Parking Garage and a replacement Rental Car facility, opened to the public. When the airport opened its doors in 1971, the Service Building went into operation as well. It housed the very first Communications Center, Police dispatch, employee cafeteria and maintenance locker rooms. The building is located across from the Red Baggage and Ticketing levels. It was primarily intended to house mechanical equipment such as the chiller plant and electrical transformers. Since then it has been expanded to two levels which was in the original design in 1968. Today it houses the original facilities with the addition of offices, rental car counters, badging and a receptionist desk. The Police department/Lost & Found has a lobby on level two (ticketing level) for walk-in lost & found requests. Today, Tampa International Airport handles 19.6 million passengers per year,  and improvements currently[ when?] in progress will increase capacity to 34 million passengers a year. The airport's car rental market is in the top five among all U.S. Airports. Tampa International Airport's Landside/Airside terminal was the first of its type in the world. There is a central Landside Terminal where baggage and ticketing functions take place. The Landside Terminal is surrounded by four Airside satellites where airliner embarkment and disembarkment occur. Each Airside is connected to the Landside Terminal via an elevated automated people mover (APM) system which employs 16 Bombardier Innovia APM 100 Shuttle Cars. TPA was the first airport in the world to deploy a fully automated, driver-free people mover system and is host to Bombardier Transportation's longest-running APM system. The terminal was originally designed to limit the walking distance between the automobile and airliner to 700 feet (210 m); today, it has increased to about 1,000 feet (300 m), due mostly in part to the larger, more modern airside buildings which have replaced the original, smaller structures. In contrast to a similar landside/airside terminal design used at Orlando International Airport, passengers must first access the APM system before going through the security checkpoints, as the security checkpoints are located in the airsides (though boarding passes are inspected before boarding the people movers so only ticketed passengers have access to them). Today, there are four active airsides (A, C, E, and F) with 59 gates. All were constructed after 1985 and all airsides include a food court and gift shop, as well as outdoor smoking patios. Airsides E and F contain duty-free shops in addition to the regular gift shops to serve passengers arriving or departing on international flights. As of 2011, the security screening area in each airside is equipped with Advanced Imaging Technology (AIT) walk-thru detection machines, made by L3 Communications, whose devices use millimeter wave technology and not backscatter X-ray. Includes gates 1–12 and 14–18 (16 total). It features a space designated for use by an airline lounge (intended to be a Continental Airlines presidents Club); however, it is unused. Includes gates 30–45 (16 total). It was the last airside to be demolished and rebuilt from the ground up; it was designed by architect Alberto Alfonso and reopened to passengers on April 19, 2005. Includes gates 62–75 (13 total). It was the first airside to be demolished and rebuilt. The current fourteen-gate facility was designed for Delta and was dedicated and opened to passengers on October 15, 2002. The facility includes one airline lounge: the Delta Air Lines Sky Club. Includes gates 76–90 (14 total). International Airside; Serves AirTransat, American, British Airways, Cayman Airways, Copa Airlines, Edelweiss Air, Lufthansa, Norwegian Air Shuttle, and Swoop. It also uses Icelandair for arrivals. Charters to Cuba depart from airside F.
It was opened on November 4, 1987 and was designed for international flights. The facility includes two airline lounges: the American Airlines Admirals Club and the International Club which is used by British Airways passengers. The customs/immigration center is located on level 1. The original TPA airsides were designed in the mid-1960s as four identical facilities. The concept was later scrapped for unknown reasons and the facilities were eventually built around the requirements of their then primary tenant airlines. Thus creating the four dissimilar facilities that stood from their opening in 1971 to 2000. Each airside building was three stories tall and included a minimum of ten gates, a cocktail lounge, snack bar, and gift shop. Each airside was maintained by the airline for which it was built until 1999. All of the facilities (except Airside B) were renovated in the early/mid-1990s but received no further modifications during their life span. All 4 of the original airside buildings have been demolished and either re-built or the space re-used as noted below. Below is a brief description of the four original airsides and the airlines that occupied them throughout the years. The bolded airlines indicate the primary (anchor) tenants for each facility. Airside B was a twelve-gate facility that was designed by Eastern Air Lines and was the first original airside to shut down. The closure was the direct result of Eastern's cessation of operations in 1991. There were preliminary plans to renovate and revive the airside during the early 1990s, but efforts failed and planning for Airside A commenced immediately in 1992. The airside was not rebuilt due to a lack of overnight parking for aircraft, the facility's close proximity to one of TPA's runways, and the need for a separate automated baggage sorting facility for Airside A (since Airside A could not accommodate a built-in facility due to its pre-2001 construction), and was eventually demolished in 2003. Today an overnight aircraft hardstand and an automated baggage sorting facility for Airside A sit on the former site. The site could also one day house an intermodal center that would allow passengers to connect to various mass transit options, including Tampa's proposed light rail system. Airside C was an eleven-gate facility designed by Delta. The facility originally housed a customs/immigration center for arriving Air Canada and Pan Am international flights. The center was closed in 1987 and a Delta Crown Room (now known as a Delta Sky Club) was added. The airside was renovated (and its shuttles replaced) in 1996 but never received any further modification. By the late 1990s, Delta's presence in Airside C was dramatically increasing, and so was the congestion and lack of gate space. The airline soon requested HCAA to build a new facility for them. Airside E was deemed inactive by 1997 and its future quickly went up in the air. In 1998, it was decided that Airside E be demolished and rebuilt for Delta. After a brief halt in construction due to the 9/11 attacks, the new Airside E opened in 2002 and Delta immediately moved in. After much debate by the HCAA about whether to demolish or renovate the aging facility, Airside C was then slated for demolition and replacement in 2003. The original Airside E was designed by National Airlines and boasted a slightly different layout from the other airsides. Its boarding gates were on the third level (as opposed to the second level in the other airsides). This was due to the fact that the facility was designed specifically for the DC-10. The first level was open to allow tugs to drive right through. This was due to the airsides close proximity to the taxiway. Airside E housed National until its demise and takeover by Pan Am. Pan Am, in turn, occupied the facility until its own demise. Thereafter, the facility was renovated (in 1991) and Continental became its final major tenant. The facility was closed in 1995 after Continental's new terminal (Airside A) opened. The airside was demolished in 2000 and replaced by its current facility. The airport's airside automated people mover systems opened in 1971 along with the current terminal, and are the first such systems in the world to run within an airport. The original eight C-100 trains were built by Westinghouse. They were replaced in 1993 with Bombardier Innovia APM 100 trains. Delta Air Lines operations at Airside E.
For the 12-month period ending June 30, 2018, the airport had 200,874 aircraft operations, an average of 550 per day: 79% scheduled commercial, 11% general aviation, 10% air taxi and <1% military. At that time there were 61 aircraft based at this airport: 72% jet, 11% single- engine, 5% multi-engine and 11% helicopter. As of September 2018, the largest passenger aircraft serving TPA on a scheduled basis is the Boeing 777. Since its opening on April 15, 1971, Tampa International Airport has used a special color-coding system throughout the terminal complex. The baggae claim areas and ticket counters are color-coded blue and red. Airlines are assigned a color depending on their location within the Landside Terminal Building. The airlines found in the south side of the terminal are color-coded blue. The carriers located in the north side are color-coded red. The codes were also assigned names based on aviation and aerospace pioneers in order to assist color-blind patrons. The Blue side names are Neil Armstrong and Amelia Earhart. The Red side names are Igor Sikorsky and Chuck Yeager. Since the opening of SkyConnect, a third set of elevators have been opened on each side by the SkyConnect entrance (Blue East and Red East), but neither core is currently named. The long-term-parking garage also uses the special color-coding system. The four elevator cores have names and colors to make it easier for customers to remember where they've parked. Wright Brothers—orange, Tony Jannus—purple, Robert Goddard—green and Charles Lindbergh—brown. The economy parking garage (EPG) elevator cores are designated as purple, gold, green, and orange, but none are currently named. It is currently unclear if there are any color designations assigned to the elevators at the Rental Car Center. Currently, over 20,000  parking spaces are available at the airport. These spaces are split between the short-term-parking garage, the long-term-parking garage, and the economy parking garage. As of right now, there is an ongoing expansion of the Economy Parking Garages which is in its second phase of construction. Also, the SunPass Plus program, first introduced at Orlando International Airport, is being implemented at TPA in stages. In early 2009, the Economy Parking Garages began using the program, in which customers can use their SunPass transponders to pay for parking. The program was expanded to the short- & long-term garages during the summer of 2009. In addition, TIA also provides self-serve lanes in which customers can pay with their credit card instead of waiting in line for the cash lanes. Levels 4–9 of the Landside Terminal Building house the short-term-parking garage. The garage was built with the airport complex in 1971 for added passenger convenience. Originally three levels, the garage was expanded in 1982 to six levels and contains 3,612 spaces. Long-term-parking was originally a large lot sitting on what is today, the present-day long-term-parking garage. The garage was built in several phases from 1990 to 1997 after increased passenger traffic swamped the parking lot beyond capacity. A monorail (situated on Level 7 of the garage) connects passengers to and from the short-term-parking garage (Level 7) and the Landside Terminal. The garage can hold a total of 7,635 spaces on six levels. On November 1, 2005 phase I-A of the garage opened to the public and then on May 19, 2006 phase I-B opened. The garage is 8,043 spaces large and is divided into two color-coded sections—purple and gold (yellow). There is also a surface lot and overflow lot for use during the holidays. Before the SkyConnect opened, a free shuttle service takes passengers to the terminal drop-off twenty-four hours a day. Construction began in early 2008 on phase II which will be an exact copy of the first phase. In February 2018, the SkyConnect people mover began operations, linking the Economy garage with the Main Terminal. In an effort to decrease congestion within the Landside Terminal, particularly the baggage claim areas, a cell phone waiting lot was built alongside one of the remote overflow lots. It includes two large four panel flight status boards, showing real-time arrival information. This allows awaiting family members and friends of arriving passengers to wait in their vehicles until the passenger calls. Then the arriving passenger(s) can be picked up curbside at the Landside Terminal without creating curbside congestion problems. The lot has restrooms, WiFi, recorded CCTV surveillance and around-the-clock police patrols. Construction began in early 2008 to expand the cell phone waiting lot and was completed in November of that same year. The lot contains approximately 125 striped spaces. ^ "Tampa International Airport surpasses 20 million passenger mark in record fiscal year". www.tampaairport.com. Retrieved 2018-10-16. ^ a b c d FAA Airport Master Record for TPA ( Form 5010 PDF), effective May 7, 2009. ^ Roger Sandoval (February 23, 1928). "TPA | About TPA | DrDrew Field History". Tampaairport.com. Archived from the original on January 6, 2013. Retrieved November 27, 2012. ^ "Tampa International Airport fact sheet - 2016" (PDF). www.tampaairport.com. Retrieved 2017-03-30. ^ Brown, Warren J. (1994). Florida's Aviation History. Largo, Florida: Aero-Medical Consultants. p. 56. ISBN 0-912522-70-4. ^ "Drew Field Municipal Airport History". Archived from the original on January 6, 2013. ^ "Tampa Airport Captures Excellent Structure Award". Evening Independent. September 27, 1972. Retrieved June 16, 2012. ^ Knapp, Pat Matson; Turner, Tracy (November 7, 2013). "Jane Davis Doggett: Environmental Graphics Pioneer". eg Experiential Graphics Magazine. No. 07: 50. Retrieved April 7, 2014. ^ Conniff, James C. G. (March 30, 1975). "Danger: Signs Ahead". New York Times Magazine. p. 36. ^ "PEMCO". Pemcoair.com. December 16, 2009. Retrieved November 27, 2012. ^ "Pemco expands operations" (PDF). www.tampaairport.com. Retrieved 2015-10-23. ^ St. Petersburg Times, A New Day for Parking. ^ "Homepage - Tampa International Airport". www.tampaairport.com. ^ TBO.com (March 7, 2011). "Tampa International gets federal OK for charter flights to Cuba". TBO.com. Retrieved November 27, 2012. ^ "TIA To Open for Cuba Charter Flights | Representative Kathy Castor". Castor.house.gov. January 14, 2011. Retrieved November 27, 2012. ^ TBO.com (February 13, 2009). "TIA Passenger Traffic Down 14 Percent in January". TBO.com. Retrieved November 27, 2012. ^ "Transitway Planning, Tampa International Airport". ^ "Tampa International Airport details $543 million second phase of massive construction plan". Tampa Bay Times. Retrieved 2017-04-21. ^ "Tampa, FL airport officials unveil details for $543M phase of $2.3B master plan". Construction Dive. Retrieved 2017-04-22. ^ "Tampa Airport welcomes local flavor" (PDF). www.tampaairport.com. Retrieved 2015-10-23. ^ Bay News 9, Bay Area Briefs. ^ Join the discussion: Click to view comments, add yours (April 4, 2013). "New vision for Tampa International Airport cleared for takeoff | Tampa Bay Times". 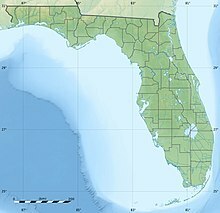 Tampabay.com. Retrieved July 5, 2013. ^ Roger Sandoval. "TPA | Shops and Restaurants | Airside E". Tampaairport.com. Retrieved November 27, 2012. ^ Roger Sandoval. "TPA | Shops and Restaurants | Airside F". Tampaairport.com. Retrieved November 27, 2012. ^ a b c "Airlines at TPA | Tampa International Airport". www.tampaairport.com. Retrieved 2017-06-19. ^ "Tampa International Airport Expansion Features Hook-On Suspended Metal Ceiling System" (PDF). ^ "Airside C Grand Opening – Tampa International Airport" (PDF). ^ Cronan, Carl (October 21, 2002). "Contractor Works All Angles to Finalize TIA's Airside E". Tampa Bay Business Journal. Retrieved June 16, 2012. ^ "Modernism Links Diverse Collection of Top Buildings". The Miami Herald. October 22, 1989. Retrieved June 16, 2012. ^ "HCAA Board approves Phase 2 budget amendment | Tampa International Airport". www.tampaairport.com. Retrieved 2018-02-25. ^ "SelTrac® CBTC, Communications-Based Train Control For Urban Rail – Thales". Thalesgroup.com. Retrieved July 5, 2013. ^ Tampa Airport (May 6, 2015). "Virtual Tour of Tampa International Airport Expansion - Part 1" – via YouTube. ^ "GA newsletter fall 2010" (PDF). www.tampaairport.com. Archived from the original (PDF) on March 4, 2012. Retrieved October 23, 2015. ^ "Flight Timetable". Retrieved 31 March 2018. ^ "Flight schedules and notifications". Retrieved 31 March 2018. ^ "British Airways - Timetables". Retrieved 31 March 2018. ^ "Cayman Airways Flights Schedule". Retrieved 31 March 2018. ^ "Flight Schedule". Retrieved 31 March 2018. ^ a b "FLIGHT SCHEDULES". Retrieved 31 March 2018. ^ "Timetable". Retrieved 31 March 2018. ^ "Frontier". Retrieved 31 March 2018. ^ "JetBlue Airlines Timetable". Retrieved 31 March 2018. ^ "All destinations". Norwegian Air Shuttle ASA. ^ Davies, Phil (June 25, 2018). "Norwegian announces Gatwick-Tampa service". Travel Weekly. Travel Weekly Group. Retrieved June 25, 2018. ^ "Southwest Airlines Route Map". ^ "Where We Fly". Spirit Airlines. Retrieved 31 March 2018. ^ "Sun Country Airlines". Retrieved March 31, 2018. ^ "Swift Air". Retrieved 31 March 2018. ^ a b "Timetable". Retrieved 31 March 2018. ^ "Flight schedules". Retrieved 31 March 2018. ^ "Airline Activity Report and Financial Archives Dec18 Market Share (CYTD) | Tampa International Airport". www.tampaairport.com. Retrieved 2019-03-04. ^ "RITA | BTS | Transtats". transtats.bts.gov. Dec 2017. Retrieved March 25, 2018. ^ "U.S. International Report Passengers". US Department of Transportation. 2018-07-31. Retrieved 2018-07-31. ^ Roger Sandoval (October 15, 2010). "TPA | Parking". Tampaairport.com. Retrieved November 27, 2012. ^ "Master Plan Facts - Tampa International Airport". www.tampaairport.com. ^ Rane, Jordan. "10 of the world's most loved airports". CNNGo. Retrieved December 1, 2011. ^ "The 10 Best Airport in the U.S." Condé Nast. October 26, 2016. Retrieved April 17, 2017. ^ "Aircraft Accident Report - NTSB" (PDF). www.ntsb.gov. 2015-10-23. 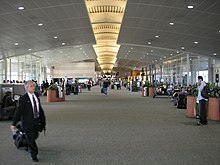 Wikimedia Commons has media related to Tampa International Airport.